As a huge fan of the comedian, and as a human being, I found it heartbreaking when Leslie Jones left Twitter for a few weeks after her website was hacked and her Twitter was trolled incessantly. The moment was sad for a lot of reasons, but, from a selfish standpoint, it was sad for the fans because we want her hilarious style in as many ways as possible. So, now that she's hopped back in, it feels great — and Jones' exploits with Snapchat filters shared on her personal Twitter will give you life. First, it's exciting to see someone bounce back after they've been hurt; her vivacity can give us all hope. Second, it helps that everything Jones tweets cracks me up, and her fun adventures with Snapchat are no different. The woman always kills the social media game — so much so that NBC invited her to provide her voice as a commentator at the 2016 Rio Olympics — and it's really no surprise that she would also make something as simple as a kissy face with purple lips (where can I get that color? It's so crazy) extra funny. With her on-point facial expressions and timing, Jones could make jury duty seem like a fun time, and that is definitely a gift. Girl, you seriously earn it. I don't understand how she made her voice like that, but I totally LOL'd. In other news, Jones makes a beautiful deer. She proves here that, if you go confidently in your fake language, people will believe that you're actually saying words. Gobbledigook with confidence pretty much feels like a real language. Also, I really wish that mask a real thing because want. I believe a "Yas Kween" would be the appropriate response here. Jones is doing her and having a blast and it is truly a joyful thing to see. 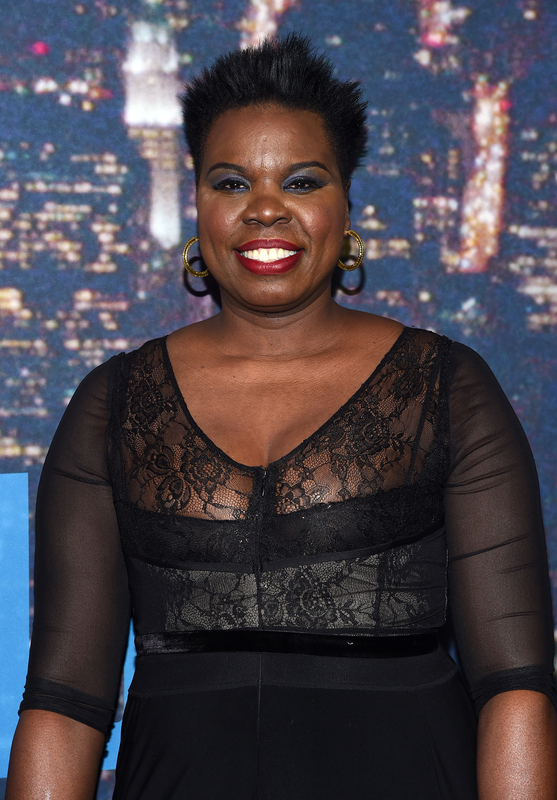 I'm pretty sure any blind date would be excited to find out their date was Leslie Jones. But, if they weren't, her on-point googly eyes would surely win the day. This brief little look in to the absolute blast the comedian is having on Twitter will make your week so much better. Even through 10-second clips, Jones manages to entertain. Her comedic genius is astounding.